INVESTOR OPPORTUNITY: Looking for warmth and charm - this is it! Lovingly designed with many appointments that you will appreciate. Step into this custom home with travertine flooring in formal areas, wood flooring in kitchen and family room, exquisite cabinetry in kitchen, custom wall tile in breakfast area, master suite offers his/her closets with organizers, his/her vanities, huge walk-in shower, large secondary bedrooms, vaulted ceiling, 4th bedroom can serve as a spacious office, laundry features wood flooring, cabinets for more storage with laundry sink. Kitchen has stainless appliances, gas range, under and over the cabinet lighting. The fireplace in the family room is the focal point and wonderful for those cozy winter Florida nights. Elliptical stairs lead to an upper-level study with built-in shelving. Other features include spacious screen enclosed lanai, pool, and spa, oversized side entry garage, tray ceilings, crown moldings, pocket sliders in living room brings the outdoors in for entertaining. 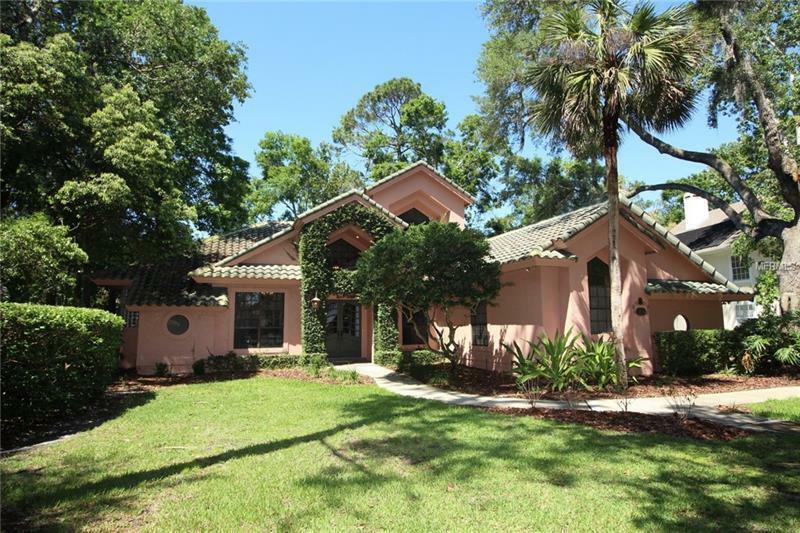 This home is located in 24 hour guarded gated community of Lake Forest, providing an infinite array of amenities including clubhouse, Jr. Olympic pool, 6 lighted tennis courts, separate kiddies pool, heated spa, sandy beach, canoeing, and playgrounds.